Can Users Climb Higher With The MaxiClimber Vertical Climbing System? 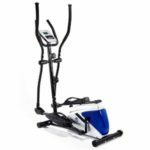 The MaxiClimber Vertical Climbing Fitness System is a great idea for all those that want something different for a more diverse workout. 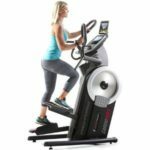 It can get a little boring sticking with the same treadmill or exercise bike. Here users have a device that mimics the movements of rock climbing. This is great for those that want to stay in shape, but also those that want to keep the right muscles toned when it is too wet to face the cliffs and rocks. Does this simple frame do enough? This MaxiClimber Vertical Climber may be minimal in terms of features, but not when it comes to the workout across the body. There isn’t much to talk about which the design and features of this stepper. There are no fancy extras here besides a pretty basic digital monitor and wall chart. It is just a simple folding frame, with that moving stepper, that offers five height settings and a 240lb weight capacity. One of the top selling points with this device is that this simple frame blends with an adaptable resistance level. There are no electronic motions or designated resistance settings here. Instead, users work with their own body weight and speed to determine the intensity of the climb. This means that the limitations of the workout come down to the user, rather than the capabilities of the device. This allows for greater scope and personal progression as users get fitter and stronger. The aim here is a full body work out where users tone their arms, legs and glutes with ease. 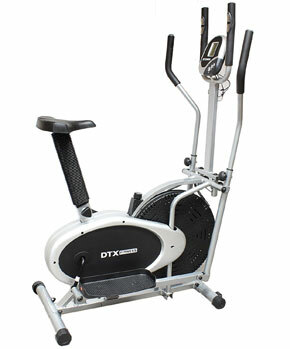 The motion of the climber works all sorts of muscle groups, but retains a low-impact feel that is ideal for the joints. The workout is great for most using this Maxi Climber Vertical Climbing Fitness System, but there are some issues with the build. This simple frame has its plus sides, but there are some that feel that the build quality could be improved. Some are a little worried about pushing too hard on it and breaking it. Others don’t feel as secure as they would like. The biggest signal of any weakness here is the fact that many users encounter some annoying squeaking. Some are able to fix this easily enough, but others just put up with it. 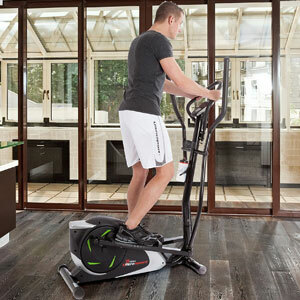 Summary: what does this mean for the final verdict on this MaxiClimber Adjustable Fitness System? There are some users that have a better opinion of this device than others. On the one hand, there are those that can’t get the motion or resistance they are after. These users are a little disappointed and feel they can’t progress. However, there are others that say that the device exceeded expectations because of the ease of use and intensity. Many work up a sweat and see the results, which shows that this MaxiClimber is definitely worth a try. Find more reviews about the MaxiClimber Vertical Climbing System on Amazon here.